The personal injury lawyers at Jones, Hamilton & Lay, PLC have successfully helped injured clients recover just compensation for losses and damages resulting from: -Auto and Truck accidents -Unsafe products -Slip-and-falls -Unsafe work conditions -Workers compensation -Social Security Disability claims Personal injury claims are those in which the victim suffers physical or psychological injury directly resulting from another person's negligence. We employ a practical, professional approach to ensure our clients obtain full and fair recovery for their injuries, including damages for their past and future medical bills, lost income, emotional distress, and pain and suffering. Through our extensive civil litigation experience, our knowledge, and our skills at settlement negotiations, we obtain the best possible recovery for our clients. At Jones, Hamilton & Lay, PLC, the client's interests are our priority. We provide personalized and professional legal guidance at every step of a client's case, keeping clients updated on their cases' progress and fully informing them about the legal strategy and recovery options available. Subject matter experts to help with your case We may consult with knowledgeable and respected experts to assist with case preparation. With the assistance of physicians, trauma doctors, pharmacists, chiropractors, forensics engineers, mechanics and accident reconstruction analysts, we can negotiate the best possible settlements. At trial, these experts are available to deliver clear, professional testimony. The importance of immediately seeking help Tennessee law sets limits on the amount of time you have to file a personal injury claim. Consult an experienced personal injury attorney as soon as possible to file your claim by the crucial statutory deadlines. By investigating your claim immediately, we are able to collect valuable evidence and interview witnesses while their memories are fresh. James A. Hamilton III is a Member of Jones, Hamilton & Lay, PLC. He has been associated with the firm since 1982. 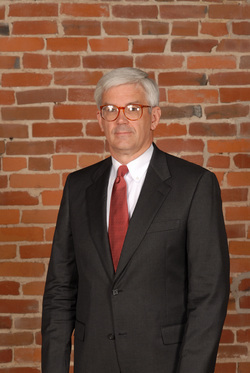 Mr. Hamilton received his undergraduate degree from the University of Tennessee at Martin in 1978 and his Doctor of Jurisprudence degree from Cumberland School of Law of Samford University. Mr. Hamilton handles matters in the area of civil litigation, with emphasis on personal injury, employment law and medical malpractice defense. He was admitted to practice by the Tennessee Supreme Court in 1982. Mr. Hamilton has also been admitted to practice in the U.S. District Court for the Western District of Tennessee and the U.S. Court of Appeals for the Sixth Circuit. He has also been approved as a Rule 31 Mediator by the Tennessee Supreme Court. Mr. Hamilton is a member of the Tennessee Bar Association and the Dyer County Bar Association. He is a Fellow in the Tennessee Bar Foundation. Mr. Hamilton is currently serving as a member of the Tennessee Commission on Continuing Legal Education and Specialization and as a Hearing Committee Member for the Board of Professional Responsibility. Mr. Hamilton is active in the Dyersburg Cumberland Presbyterian Church and presently serves as an Elder. He is a former Chairman of the McIver's Grant Public Library Board and currently serves as a Director of First South Bank Advisory Board. Certifications of Specialization are available to Tennessee lawyers in all areas of practice relating to or included in the areas of civil trial, criminal trial, business bankruptcy, consumer bankruptcy, creditor's rights, medical malpractice, legal malpractice, accounting malpractice, elder law, estate planning and family law. Listing of related or included practice areas herein does not constitute or imply a representation or certification of specialization.